Takin five years between albums isn’t entirely uncommon, but for Stefon Alexander, better known as P.O.S, a lot more than time has passed between his last release, 2012’s We Don’t Even Live Here, and this year’s stellar Chill, Dummy. As P.O.S, the renowned Minneapolis-based rapper has put out unique, lyrically engaging and musically experimental albums that have continued to resonate deeply. Alexander’s musical interests stretch further than most, though – certainly beyond hip-hop; among other things, he’s played in punk and noise bands, including Marijuana Deathsquads, is a member of the 22-strong indie supergroup Gayngs (members include Justin Vernon and Har Mar Superstar), and is the driving force between experimental hip-hop collective and label Doomtree. In 2012, Alexander was forced to cancel a national tour due to kidney failure, the result of more than 15 years of chronic kidney disease. He announced that he had been put on dialysis, needed to postpone his tour, and asked fans to help crowd-fund a kidney transplant. His fans banded together and donated more than enough to afford the transplant. He received the transplant in early 2014, and has since been working on his health, his music, and being a father. In March 2016, P.O.S released a new track. Sleepdrone/Superposition came out exactly two years after his kidney transplant. 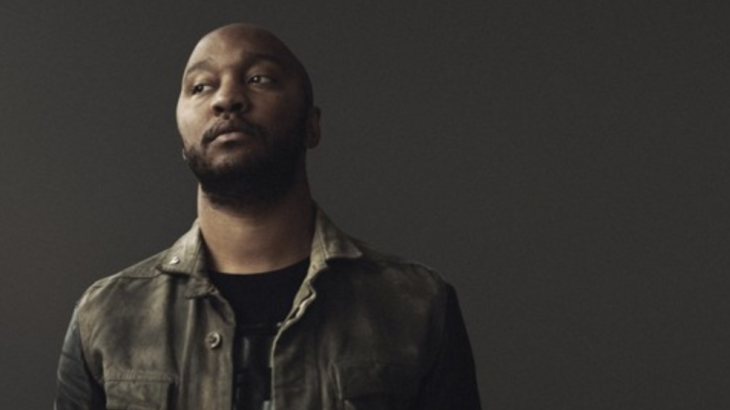 Across almost nine minutes, Alexander – along with collaborators Kathleen Hanna, Allan Kingdom, Lizzo, Astronautalis, Eric Mayson, Lydia Liza, Nicholas L. Perez and Hard_R, his son – allows insight into his thoughts and his life, including themes of race, police violence and his personal health issues. It was to be the final track on Chill, Dummy, released nearly a year later. The album’s themes came as a surprise for some, given its intimately personal nature – a marked step away from the political undertones anchoring much of his earlier work. On a musical level it continued pushing boundaries, and contains some of his best melodies and hooks, as well as featuring more artist collaborations than much of his earlier solo output. The dust has now settled, and Alexander is gearing up to tour the album. I was lucky to chat to Alexander about the album’s themes, his relationship with fans and creating personal, yet open-ended music. How does it feel to return, not just after five years but after everything you’ve been through? It feels good for me. It feels like starting over again, which is not the worst feeling. Did you want to start over, or is that feeling more just in response to everything you’ve lived through? I really didn’t think about it as that until I made the record and got back out on the road. It has been like four and half, five years. And in that time, I’ve had a lot of loyal and die-hard, excellent, amazing fans that have been like, checking out Gayngs, checking out Doomtree, and checking out different things I’ve been working on in the time between solo records. But as far as getting out there after this one, it feels like it might as well have been the first time I made a record because so many people have never heard of me. So many people look at me as kind of like an artist that they grew up with, but not somebody they’ve heard anytime recently. And I imagine there’s a lot of extra pressure in feeling that. Yeah, that’s actually one of the reasons it’s called Chill, Dummy. So it’s a message to yourself to chill? Yeah, in every song and definitely in the title. I was very much trying to get myself to take the pressure off, to take the pressure off the name of the record, and let other people decide what it should feel like, instead of definitely be a really serious and important title. You’ve said that Chill, Dummy is your most personal album to date. Was it difficult to begin that process? Yes, it definitely was, but not in the way you might think. I didn’t really decide to do it so much as [the most personal songs] ended up being the best songs for the project. I made a lot of music for the record and I wrote a lot of lyrics, and it just happened that the best music I made for this record happened to be way more personal than any politics or anything else I was trying to write about. Considering everything going on in the US right now, I admit I was surprised that the album wasn’t more political. Yeah, I think a lot of my fans were thinking that too. Honestly, I took some cracks at writing more directly political stuff, but by the time I was making the last four or five songs on the record, I had the feeling that the best songs were leaning more toward a personal, inward-looking, inward-facing thing. I feel like they can be just as impactful, if that’s what you’re looking for, but in a totally different way. I didn’t want to force some songs out because it was looking like Trump was winning, I just wanted to keep going with the flow of the record I was out here making and not really bend it or push it too hard. I set out to make a really aggressive political record, I set out to get super-noisy and angular. But it was just that those songs didn’t turn out as good as these ones. So these are the ones that came out. There are some incredible musical moments on the album, and I wanted to first talk about Sleepdrone/Superposition. There’s a big group of collaborators but the one that really stood out to me was Kathleen Hanna. I love Bikini Kill, and would have never expected to see her on a hip-hop track. She’s a hero, she’s been a hero of mine forever. You can’t be punk from that time and era and not have the most respect for her. When I was working on the song, Kim Gordon had just put out her book, and I’d talked with my manager about trying to track her down. My manager was like, “I think Kathleen Hanna would be a better look.” And then, as soon as she said it, I was like “Oh my god! Yeah she’d make way more sense on this song.” And that would be amazing if we could do that, and my manager reached out right away and she asked for the lyrics and I sent the lyrics over and after she went over the lyrics and kind of got a feel for what I was about, she was into it, and she actually felt inspired. She’s had her own health issues as well. That’s so interesting! It’s such an epic song, not only lyrically but in terms of the music, the other guest artists, like Allan Kingdom. I was really happy to get everybody on there. Allan Kingdom not only contributes a verse, but he does my backup vocals for most of the songs too. It was such a great way to end the album. I also wanted to talk about Faded, it’s got the most beautiful melody to it. Where did that hook come from? It’s a sample from a song by a band I play in, Gayngs. The song is called Faded High, I loved the hook and the bass line so much that pretty much right after it came out, I asked Ryan, who produced it, if I could have the stems to remix it. I finally got the chance to remix it for this record and took it as far as I possibly could. I wanted it to be a totally different song, I wanted to use their chorus and make a song that made sense for my life. So what meaning did that take on for your own life? That I’m a mess. That’s it. It talks about the struggle between love and lust and the struggle between staying a wild monster or settling down. Another one of my favourites on the album is Pieces/Ruins. It’s so poignant and stretched out. That song is about everything from themes of gentrification throughout American urban society, to taking it literally, like the old places that we used to kick it have been torn down or fallen apart, all the way to talking about our lives, ourselves, our style and the way we used to think. It depends on the level of depth you’re trying to get at, but everybody’s verses touches on temples they’ve built for themselves with their body or their private spaces in the world, that they want to enjoy. You’ve spoken about how your fans stood by you and really helped you through your health problems. What was it like to have those fans showing their dedication and support like that? That’s one of the main reasons I made it through, you know? Aside from my family and my close friends, who were amazing and who actually held my hand for so much of the hard stuff. When no one’s around, being able to go and look at the comments sections, and seeing the support I was getting from my fans, it was amazing. I still look at it to this day. That was a whole life-changing situation, it was nuts. Does your relationship with your fans affect your writing or the album at all? I don’t know how to make it about the listener, I’m not that kind of artist, I’ve never tried to think about that as much. I just want to make songs that feel genuine and honest. And do you ever consider the way that a listener will interpret your music, or is it strictly for yourself? I found out that some of my songs are about drugs by reading the Genius page! I leave lot of my writing to be quite open-ended. People are able to make songs about what they want, and what fits their lives. I used to scold myself for not being able to write a song in a really linear way, where everybody knew what I was talking about and it’s very poetic and not open-ended. But I stopped beating myself up when I started seeing that people were attaching their own feelings, their own thoughts to my openness and poetic nonsense.